The long-awaited double casserole carrier is finally here and it was definitely worth the wait! It is gorgeous! 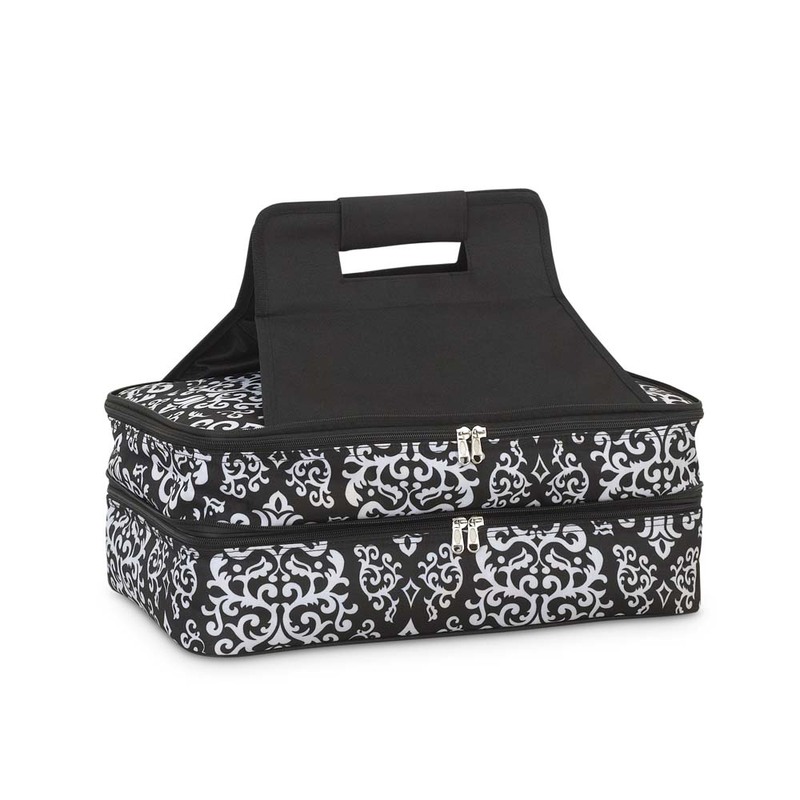 It will hold 2 of your 13 x 9 casserole dishes in style! There is also a slot to hold utensils in the handles section. This will make a fantastic & unique gift for someone who loves to cook or takes their favorite dishes to fun gatherings! Or why not give one to yourself? An initial or monogram can be added just below the handle hole it you like at no extra charge! Casserole dishes not included.